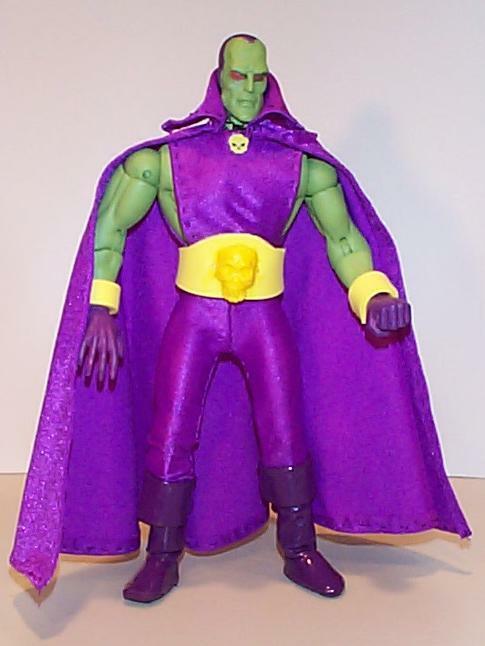 Drax is made on an M2 body with Vision's head. The feet were switched to M1, so he could wear Hawkeye's boots. He has a massive cape with a big collar. 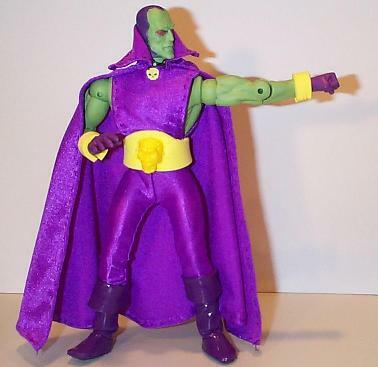 The suit and cape were made by hand. The belt and bracelets are made of craft foam, with a skull from a cheap plastic Halloween ring. The cape clasp skull is just an image from a Punisher comic cover (teeth shortened). 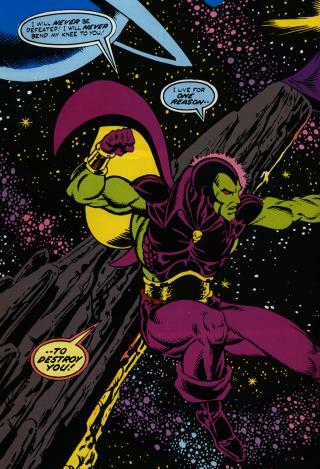 Drax was part of the Famous Cover mailing list group project. Do you get the idea this guy is all talk? I mean has he ever destroyed anything? 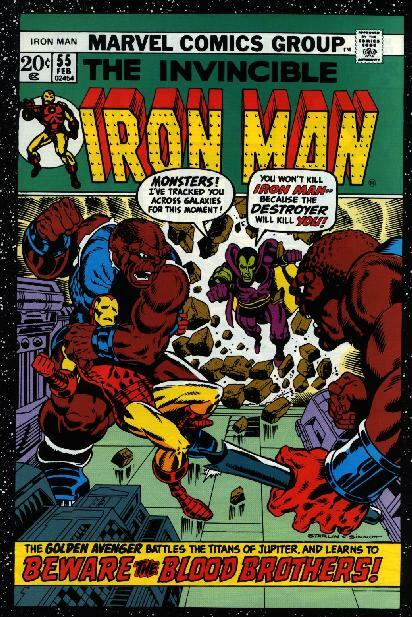 There is only one word for when he and Captain Marvel work together: Katoom! I thought this was a cool cover. 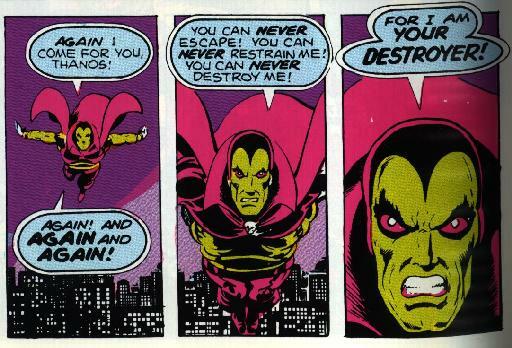 Drax is dressed a little different than mine, but he's making his idle threats again. Maybe I should make the Blood Brothers?